Willis Island is an island in an external territory of Australia, located beyond the Great Barrier Reef in the Coral Sea some 450 kilometres (280 mi) east of Cairns, Queensland. It is the southernmost of a group of three islands, which with their associated sandy cays stretch in a NNE to SSW line for about 12 kilometres (7.5 mi). Willis Island itself is aligned NW to SE and is about 500 metres (1,600 ft) long by 150 metres (490 ft) wide, 7.7 hectares (19 acres) in area, rising to about 9 metres (30 ft) above sea level. 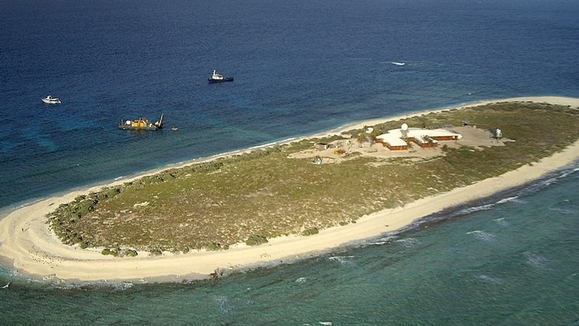 It is the only permanently inhabited island in Australia's Coral Sea Islands Territory.